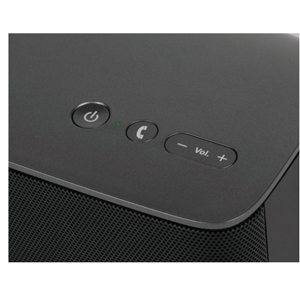 Bric Connect by Edifier combines the highest level of audio output and quality with the latest technology including Bluetooth connectivity and a built in microphone for conference calling features, all within a portable speaker device. The Bric Connect is equipped with a built in microphone - enabling the user to have the ability to use their Bluetooth paired mobile phone to answer phone calls, reject an incoming call and end a conversation at the push of a button. Hands free phone conversations and multiple listener conference calls have never been easier. 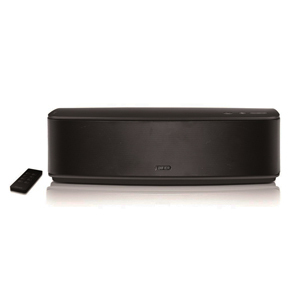 With the option of loading 6 x AA batteries into the system, the Bric Connect becomes a portable speaker system, ideal for outdoor use or the convenience to transport it into another room or office. 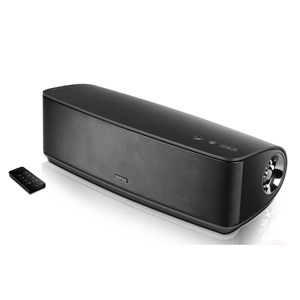 The Bluetooth audio input provides flexibility for users to sync and play music from Bluetooth enabled devices and move freely around the room without the constraint of cables. Additional devices can also be connected using the 3.5mm auxiliary input option. 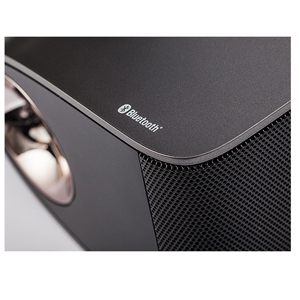 The system produces a total power output of 12 watts RMS, through two, 2¾ inch (70mm) full range speaker driver with bass enhancement through the bass reflex port. A wireless multi functional remote control accompanies the system that can also answer, decline and end calls from a distance, change input selection, or move through next/previous tracks as well as adjust the volume.